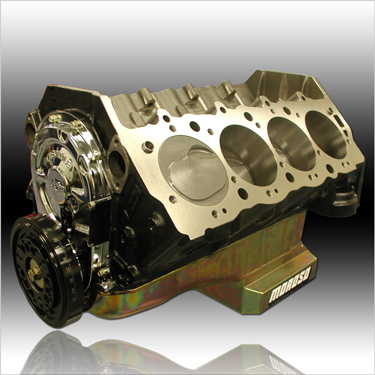 These Are The Same Exact Pieces That We Use In Our Highly Successful UltraStreet Engine Lineup. No Shortcuts. No Substitutions. Just The Highest Quality Parts With The Finest Precision Machine Work And Meticulous Assembly That We're Famous For!! (1) Precision machined in USA to our custom specifications. Includes: UltraStreet Steel Billet Solid Roller Cam, Rollmaster Billet Timing Set w/IWIS Chain & Torrington Bearing, GM Performance Chrome Timing Cover, Cam Button And ARP Cam Bolts. Camshaft Installed and Degreed, Cam Button Shimmed To Installed Front Cover. Includes: UltraStreet Steel Billet Solid Roller Cam, Rollmaster Billet Timing Set w/IWIS Chain & Torrington Bearing, Cam Button And ARP Cam Bolts, GM Performance Chrome Timing Cover and Tavia Pointer, Hi-Performance Harmonic Balancer, SSRE/Moroso Custom Gold Irridited Street & Strip Oil Pan w/Windage Tray, Hi-Performance Oil Pump w/Welded Pick-Up. One Piece Oil Pan Gasket w/Sandwiched Steel Shim and Grommets. Oil Pan Mounted With Stud Mounting Kit. Completely Assembled With Camshaft Degreed And TDC Verified And Set.